If you are a regular reader of my blog, you would know I have silky hair with dry and frizzy ends. I am always on the lookout for a conditioner that moisturizes my dry ends and keep them frizz free. GG Gatsby is a US brand that is easily available on Amazon. I have tried their straightening hair products line and today I am going to review GG Gatsby Straight Away Conditioner. GG Gatsby Straight Away Conditioner comes in a sturdy, long white plastic bottle with a ‘press to open’ cap. I find the cap very convenient and easy to use as opposed to flip open lid. You just need to press the lid where ‘press’ is mentioned and a small hole pops open from where the conditioner will come out. The packaging is travel friendly and it can be carried around in a bag without any fear of leakage or spillage. The conditioner is white in color with a mild and lovely scent. The texture of the conditioner is soft, smooth and silky with runny consistency. I take generous amount of conditioner and apply it to the length of my hair. 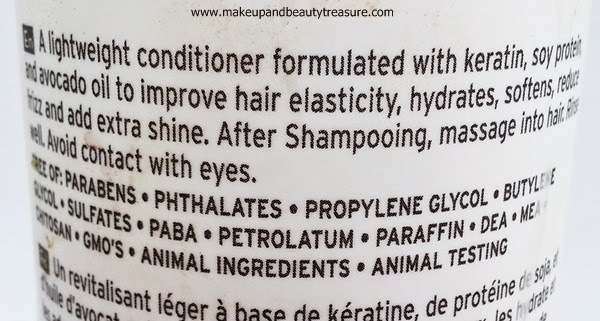 Since it is a lightweight conditioner, I feel it takes more quantity than required for my below shoulder length hair. 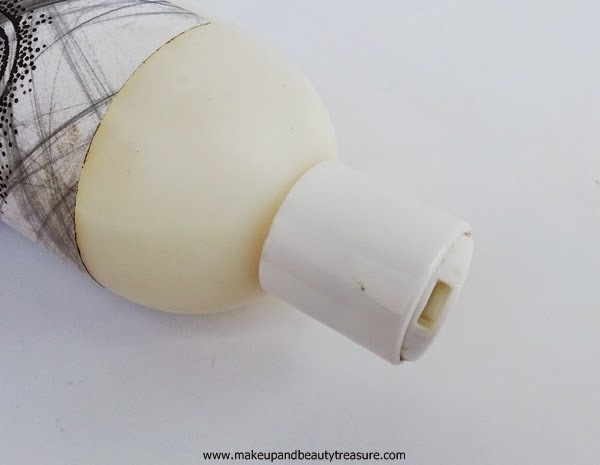 I prevent myself from applying conditioner to the roots of hair to avoid any greasiness (I don’t have frizzy hair but if you do, then you can apply it on the roots!). It gets spread easily and coats all my hair well. The smell is mild and pleasant and won’t bother sensitive noses. It reminds me of high quality salon products. I leave the conditioner for about 2-3 minutes to get the most benefit out of it before rinsing. It is easily rinsed away without leaving any residue behind. My hair feels soft, smooth, silky and manageable. My hair is prone to breakage specially while combing. After using this conditioner, I love how soft my hair feels and the dry ends feel smooth and hydrated. The scent lingers with me for quite a few hours. The ends of my hair which are prone to dryness also feel soft and tangle free. I really love the way it imparts softness and shine to my hair. Since I apply the conditioner only on the lengths of the hair, I am not sure if it makes hair greasy or weighs them down when applied onto the roots. The conditioner is meant for those who have frizzy hair and leaves hair quite manageable. • Lasts long as the bottle is quite big. 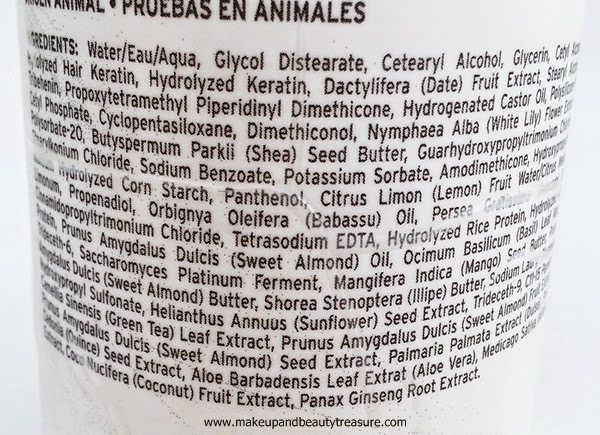 • Contains keratin oil and other oils. • Paraben and sulphate free. • Pricey on Amazon but you can always buy from their own website! • Might not suit extremely dry hair as it is a lightweight conditioner! • More quantity is required. 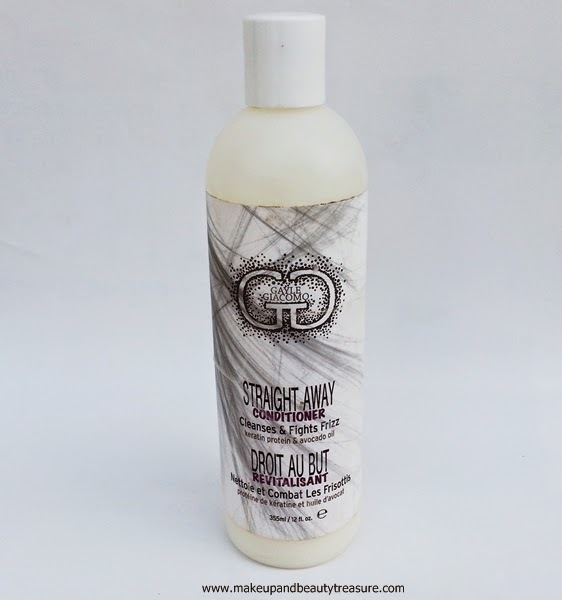 GG Gatsby Straight Away Conditioner is a great lightweight conditioner that keeps hair soft, smooth, shiny and manageable. It keeps my dry ends soft and moisturized. The scent is quite refreshing and lingers with me for quite a few hours. The conditioner makes my wavy hair looks more manageable. I would happily recommend it to everyone! 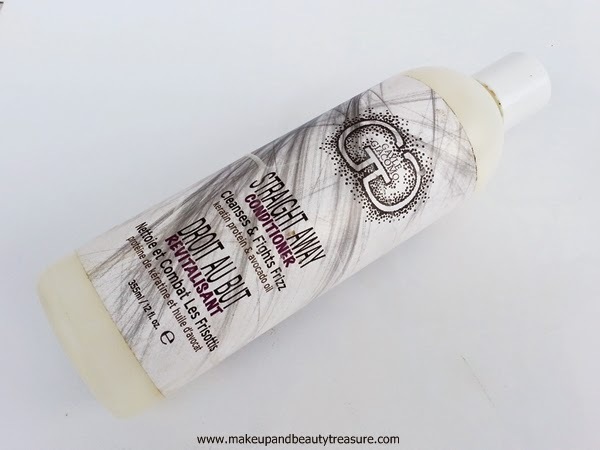 Have you tried GG Gatsby Straight Away Conditioner? How was your experience? Share in the comments section below!